Hatsu Hioki knows what it means to the world of Japanese mixed martial arts for him to be successful in a UFC career that begins this Saturday night in Las Vegas against George Roop. He is well aware of what has happened to his countrymen Yushin Okami, Yoshihiro Akiyama, Takanori Gomi, “Kid” Yamamoto, and Caol Uno, in recent times, and he is determined not just to become the first Japanese fighter to win a UFC title, but to make a statement to the world. It’s a message of national pride from a fighter who has competed at a high level in several major organizations in his homeland like PRIDE, Sengoku, and Shooto, winning titles in the latter two promotions. Hence the high level of anticipation for his arrival in the Octagon, one which he knows comes attached with an equally high amount of pressure. So why is Hioki’s debut such a big deal? Well, start with the fact that he is a groundfighting expert who has finished half of his 24 wins via submission, including victories over Mark Hominick and Chris Manuel, but he can also handle himself on the feet, making him dangerous anywhere the fight goes. He also owns victories over Jeff Curran, Baret Yoshida, Marlon Sandro, and Takeshi Inoue, but his biggest win may have been a 2008 TKO of Japanese legend Rumina Sato. “That was a huge boost to my confidence as a fighter,” said Hioki, who defeated Sato in the middle of a current 12-1-1 stretch where the only blemishes have been a 2008 draw with Hiroshi Nakamura and a controversial split decision loss to current UFC featherweight Michihiro Omigawa in 2009. Winner of four in a row, an April submission win over Donald Sanchez was also a key one, not just because it propelled him into the UFC, but because it was the first major event in Japan since the tragic earthquake and tsunami that rocked the nation in March of this year. After the bout, the word started getting out that the Nagoya native was ready to seek out bigger game, and in June, Hioki made the move to the UFC. 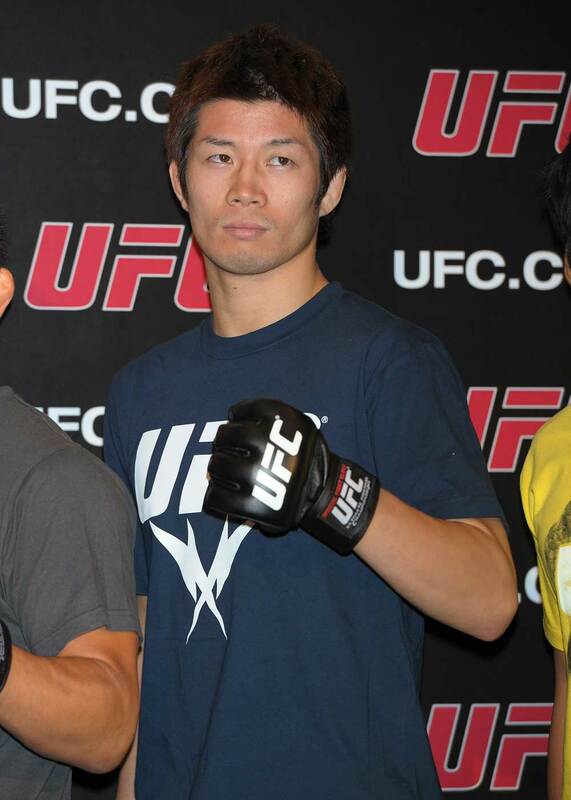 The 28-year old Hioki is no slouch either, and he promises that new fans will see a bout to remember at UFC 137. And Hatsu Hioki is more than willing to lead the charge. Working on “practicing elbows and imagining using the cage in sparring,” he will get a stern test in Roop, who has scored upsets over Chan Sung Jung and Josh Grispi in a little over a year’s time, but he’s ready for him and ready to take his first steps as a UFC fighter. “I always try to grow as a fighter and enjoy all aspects of this fighting game,” he said.